Last night was the Super Bowl... the Baltimore Ravens won and my husband is over the moon happy. We had a Super Bowl party with all the fixings from pizza, chicken wings, bratwurst sausages, loads of dips and sweet treats. Now it's time to get back on track and refocus on eating more healthy meals. The way to start the day is with these healthy strawberry banana oat muffins. 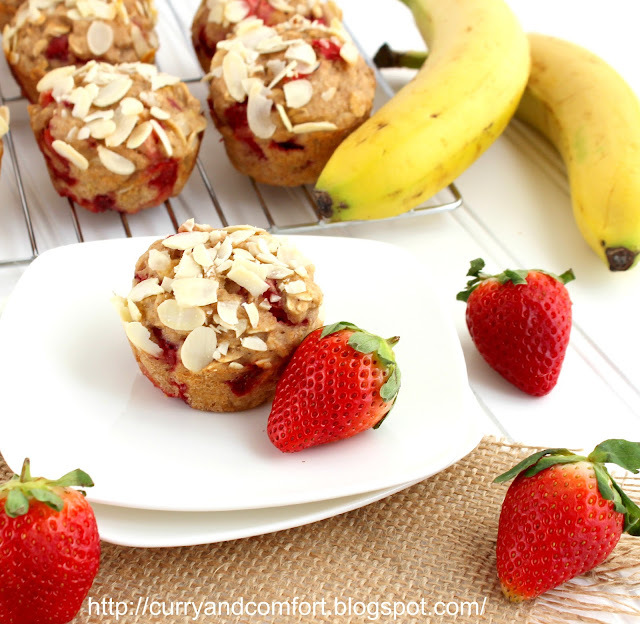 My kids and husband loved these muffins and they were full of goodness. They thought they were still indulging in some guilty treats... but they were indulging in healthy treats instead. 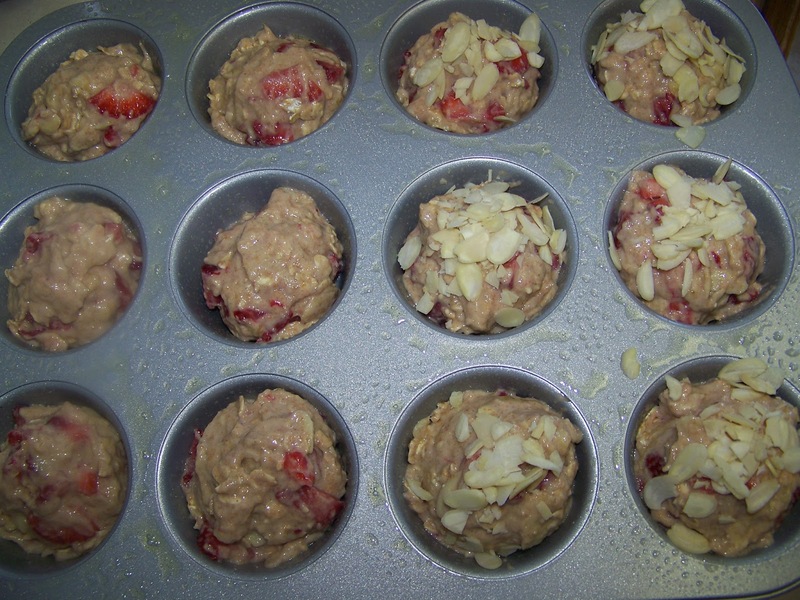 I call this one a touchdown when it comes to muffins. Combine all the dry ingredients in one bowl. 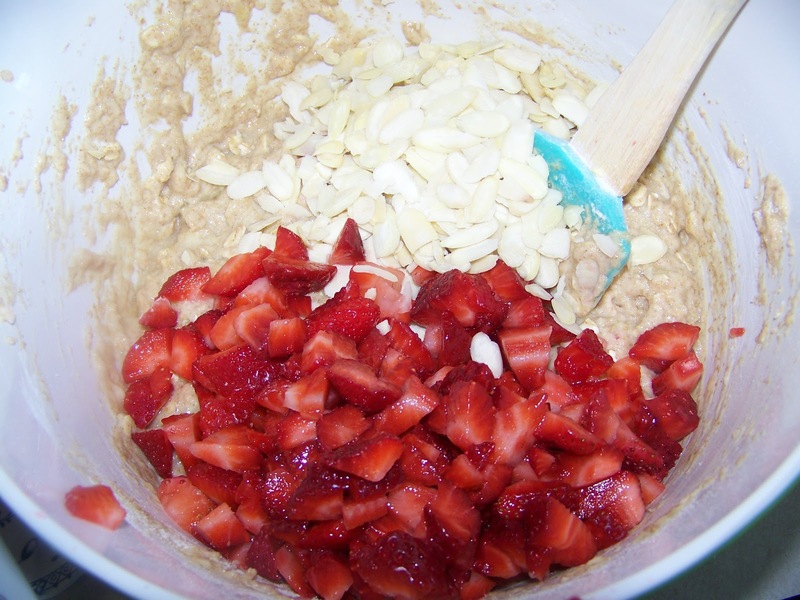 Combine all the wet ingredients in another bowl. Add the dry ingredients to the bowl with the well mixed wet ingredients. 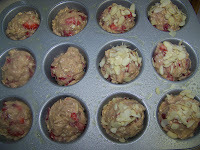 Bake in a well greased muffin pan at 375 degress for 17-20 minutes. Enjoy. How pretty and delicious! 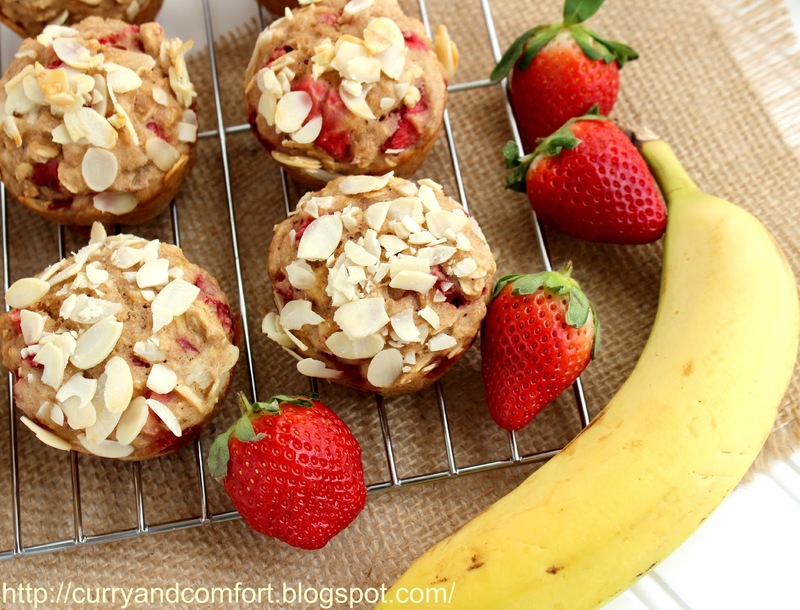 Really love the combo of banana and strawberry. I was just thinking about strawberries the other day. Strawberries equal summer. I am ready. I was rooting for the Ravens too! 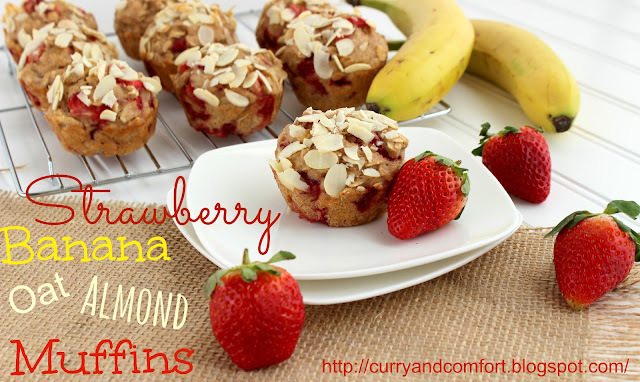 These muffins look amazing as always. Tremendous baking and food styling Ramona! Great job, your presentation is spot on! Sounds like a delicious combination. Thanks for sharing as usual! These look SO yummy, Ramona! You'd never guess they were a healthier version...love that! Yum, these look so delicious! Give me one of these for breakfast and I'll be a happy girl. I need to get myself some strawberries to make these. sorry about that.. it's a 1/2 cup.